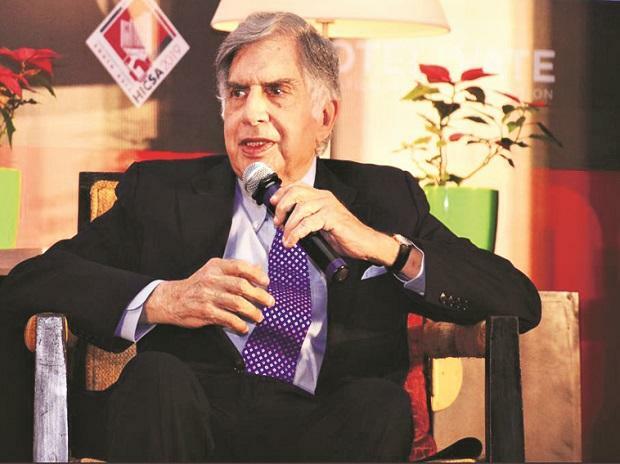 The Tata group has managed to turn around some of the poorly-performing businesses successfully and not give up on them, Ratan N Tata, chairman emeritus Tata Sons and head of Tata Trusts, said at an event in Mumbai. Even as a successful business creates a lot of excitement among stakeholders, one is often accused by the industry for hanging on to an under-performing one, he said. “We have managed to turn them around. Deep down inside it is very difficult to give up an enterprise and people. While many will not agree with my view, there are ways to make a business successful rather than give up,” said Tata. His remarks come against the backdrop of criticism the group faced in the past regarding its hospitality, automobile, and steel, among other businesses. The businesses including the passenger vehicle arm of Tata Motors and Indian Hotels Company (IHCL) have managed to wipe out losses under the N Chandrasekaran, chairman Tata Sons. Tata was responding to a question by Raymond Bickson, chairman, Bickson Hospitality group, at one of the sessions of Hotel Investment Conference – South Asia. Bickson was the MD and CEO of IHCL for close to 12 years. It was during Bickson’s tenure that IHCL acquired several overseas hotels. Under him, IHCL adopted a segmentation strategy and launched brands such as Vivanta by Taj, Gateway, and Ginger. Giving a peek into the businesses he admires, Tata said initially Bose was a favourite but the affinities have shifted to Apple and Google.